Our product range includes a wide range of portable refractometer, hand refractometers, salinity refractometer range 28, salinity refractometer, master bc battery coolant refractometer and gem refractometer. Capitalizing on our vast industrial expertise, we present a huge array of Portable Refractometer which is used in numerous industries like sugar, ghee and oil mills pharmaceuticals and chemical laboratories, jam factories and distilleries etc. Our complete range of refractometers includes abbe, butyro, hand and digital refractometers. 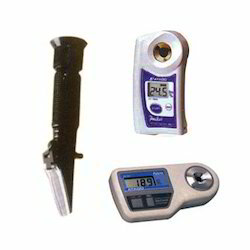 Accredited among the trusted refractometer exporters in India, we deliver our clients these products in different specifications. 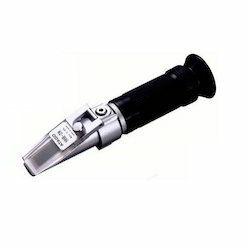 Made using high grade material and advanced technology, we have become an established name among the leading refractometer exporters. This instrument is designed to control the concentration of saltwater, such as in cooking or rinsing seafood, and utilizes a new material that is durable against salty and acidic samples.It is Automatic Temperature Compensation (ATC) model with water resistant properties (IP65). 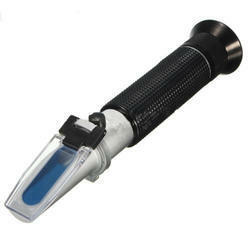 We are offering a wide range of Salinity Refractometer. 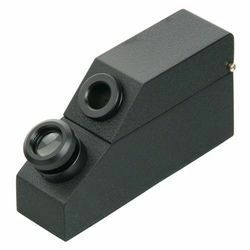 International Protection Class: IP65 (except eye piece) Dust-tight and Protected against water jets. 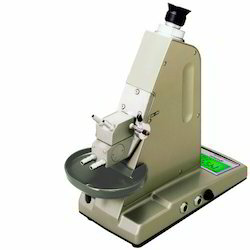 This refractometer has an exclusive scale for measuring specific gravity of battery fluid and forchecking the freezing temperature of ethylene glycol and propylene glycol which are used as antifreeze mixture in automobiles, thermal catalyst for solar power systems and other industrial applications.MASTER-BC is the successor model to the conventional BC-2E.The scale is graduated in C° .NEW material (which is durable for salty and acid sample) is adopted. Scale range: E.G. 0 to -50 C°,P.G. 0 to -50 C° ; 1.150 to 1.300. Minimum Scale: E.G. 5 C° ,P.G. 5 C° ; 0.01. 1 Year Warranty, Heavy-duty and built to last, Convenient & easy to carry Built-in Light Source that makes it a carry-and-use-it-anywhere device, Comes with Automatic Temperature Compensation (ATC) that let itself adjust to the climate. Approved by strict quality and safety standards, undoubtedly durable, very reliable and assures accurate testing results, Comes with 3 pieces AG13 batteries, carrying case, polarizing filter, index oil, index reference list and user's manual. Power Source : 3 x 1.5V AG13 button batteries. 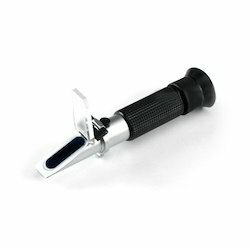 This refractometer can be used for measuring the concentration and freezing temperature of ethylene glycol and propylene glycol.NEW material (which is durable for salty and acid sample) is adopted. Parts: Daylight plate for MASTER series: RE-2391-59M. 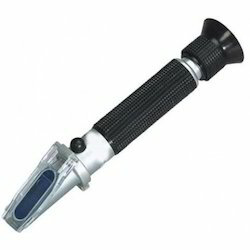 Looking for Lab Refractometer ?